There isn’t a combination as perfect as a serving of pasta – comfort food and healthy carbs (we’re not counting the cheese that goes in it, to be honest). What’s more is the fact that putting together a satisfying serving barely takes any time. Toss in some meat, veggies, cheese and a glug of olive oil and you’re good to go. As easy as it is to make pasta, there are a few mistakes that are far too common which can be avoided with a little bit of care. Always remember to salt the water to avoid eating bland pasta. There’s no need to add salt before the water boils, but definitely add it before you put the pasta in. And don’t hesitate to add a generous amount – only a small amount of the salt that you add to the pot actually gets into the pasta. When it comes to pasta, size matters. And by that, we mean, the size of the pot. Too small a pot will only give you clumped pasta because there may not be enough water and room for it to cook properly. Stirring the pasta as soon as you add it to the pot is equally important. This will further prevent the pasta from becoming a clumped, unsavoury-looking mass on cooking. Stirring the pasta as it cooks is just as vital. More often than not, the packaging will mention the cooking time. Remember that this is the time when the pasta becomes soft. For the perfect ‘al dente’ consistency, start checking your pasta about 3 minutes before the prescribed cooking time. 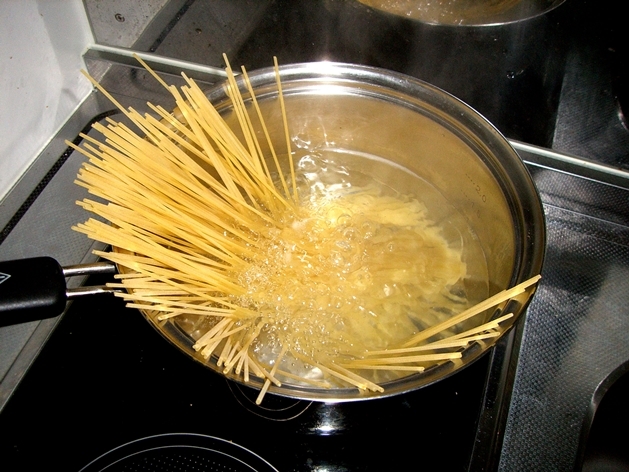 It is important to drain the pasta immediately after it is cooked. The residual heat will continue to cook the pasta, making it completely soft and not all that enjoyable. 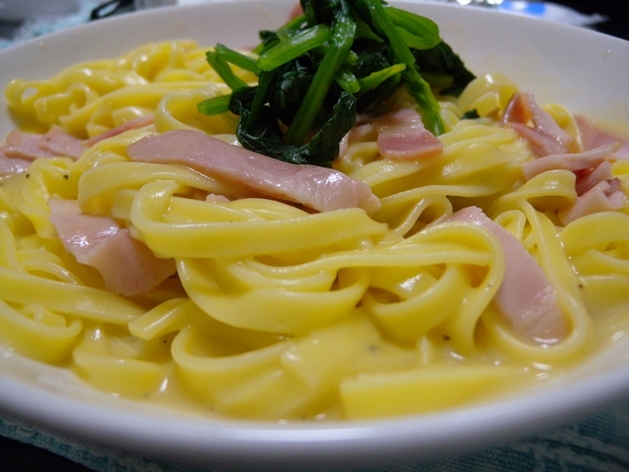 Before you drain off the pasta, save some of the cooking water if you’re making the sauce. The starch from the pasta will help give a smooth texture to the sauce – a cup or two of this water is enough, which can be added a couple of tablespoons at a time. Do not leave the pasta sitting in the colander after straining the water. It will only cause the pasta to stick and clump together. Add it immediately to the sauce and mix well.